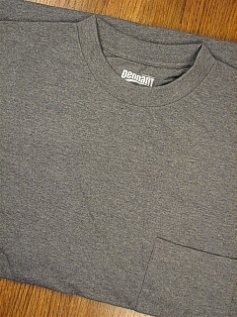 100% Preshrunk Cotton, 6.5oz. Tagless. Heavyweight Jersey. Left pocket. Rib knit neckband and open sleeve. Double-needle stitching on shoulders and armholes. Formerly known as Outfitter.